LeanXcale is a Full SQL Full ACID distributed database that scales out from 1 to 100s of nodes thanks to its patented transactional management and query processing technology. With LeanXcale you know that it will handle any workload at any scale you may need. LeanXcale is a Hybrid Transactional Analytical Processing (HTAP) database. 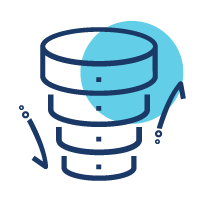 This means that you do not need anymore to create and maintain complex ETL pipelines between your operational database and your data warehouse or any other analytical infrastructure. With LeanXcale HTAP capabilities your operational and analytical capabilities are solved in a single database management system. What it is more, forget about analytics over stale data, with LeanXcale you will get real-time analytics by running the analytical queries over the operational data. Never spend a coin on unneeded resources and associated costs (clouds resources in the cloud, power & cooling on premise, 24x7 operations team, …). With LeanXcale elasticity you can now devote the exact resources you need for the current load as it evolves over time and without any disruption in the service and its quality during the dynamic reconfigurations. Finally, you can get the best of two worlds, SQL & NoSQL, with LeanXcale thanks to its dual interface. With LeanXcale you can access your relational data via the simple and powerful SQL or through its ultra-efficient key-value interface, always with Full ACID guarantees. Its key-value interface avoids the overhead of SQL processing for simple operations and empowers you with amazing rates per core deployed. LeanXcale database handles any load needed by modern data driven enterprises scaling out linearly to 100’s of nodes in a transparent way to applications. Traditional operational databases are the main bottleneck in enterprise IT and a huge amount of engineering and DBA hours are wasted to twist the business application and configure the database to avoid breaking the operational database (e.g. by resorting to sharding over multiple independent DBs). Other alternatives like moving to a NoSQL data store result in even higher costs in engineering and maintenance, and losing data consistency guarantees with painful consequences. LeanXcale is an ultra-scalable Full ACID Full SQL database able to handle any load up to millions of update transactions per second scaling out linearly to 100’s of nodes transparent way to applications, processing any load needed by modern data driven enterprises. Now, companies can just focus on developing their business application and forget about the database, because with LeanXcale they know it will scale as much as they need to satisfy their requirements. No more budget wasted in engineering and DBAs due to a non-scalable operational database. LeanXcale has been conceived as a distributed database with all its components able to scale out to many 100s of nodes. Its patented ultra-scalable transactional management solves the bottleneck of existing operational databases. It does so by decomposing the ACID properties and scaling them out independently but in a composable manner. It can scale to many millions of update transactions per second. Be ultra-efficient with modern hardware that is multi-core and has NUMA memory. Scale out to 100s of nodes, terabytes of data, millions of updates per second. Provide sub-millisecond latencies for single item operations. Be efficient for both operational and analytical workloads. Its distributed query engine is able to scale for both OLTP and OLAP workloads. For OLTP workloads each query engine instance can handle a subset of the client sessions. For OLAP workloads it can spread the processing across many query instances to answer analytical queries in online response times. LeanXcale provides Real-Time Big Data Analytics blending operational and analytical capabilities in a single database. Today companies use two different kinds of database managers for processing their data. Transactional SQL databases (On Line Transactional Processing - OLTP) manage operational data and guarantee data consistency despite failures and concurrent updates, relying on full ACID transactions. At the same time, data warehouses (On Line Analytical Processing - OLAP) are used to run analytical queries. These queries are heavy and require traversing vast amounts of data. Since OLTP and OLAP are two different database management systems, with very different compute resource profiles, data has to be copied from the OLTP database to the OLAP database in a process called Extract-Transform-Load, or ETL. The ETL process is often too complex and costly to create and maintain, being estimated to take up to 80% of the business analytics budget. Additionally, analytics are performed over stale data, thus preventing from obtaining real-time insights what leads to a significant reduction in business agility. LeanXcale, thanks to its ultra-scalable transactional processing system, blends operational and analytical capabilities in a single database. LeanXcale is able to process any operational workload. On top of it is able to run analytical queries over the operational data without any interference between both workloads., delivering Real-Time Big Data Analytics. By blending both capabilities on a single database ETLs can be eliminated or highly reduced. Thus, LeanXcale enables significant reduction in costs and increments the business agility for data intensive companies. At the transactional level, the interference between operational and analytical workloads it is avoided thanks to our multi-version concurrency control (MVCC). Our MVCC avoids interference between reads and writes by creating new versions of rows rather than updating in place. At the query engine level, our query engine is a distributed data warehouse engine with Massive Parallel Processing (MPP) able to process analytical queries with online response times. The query engine is also able to scale out with the number of clients to process arbitrary operational workloads. 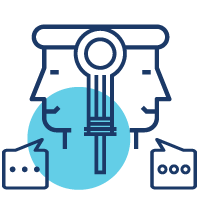 At the storage engine level, we have architected from scratch designed to be efficient for both operational & analytical workloads. It is based on a novel proprietary data structure efficient for both random updates and range queries. It is vectorial to accelerate analytical queries by processing multiples rows at the same time. It has a unique design that provides perfect isolation between both workloads. Grow and shrink database cluster size as needed ensuring optimal use of resources. Currently, database systems are over-provisioned to avoid crashing under the highest foreseen load peak. Over-provisioning results in wasting a large fraction of the budget. On cloud deployments, paying per use, it means paying 24x7 for resources one might never need, or resources that are just needed 1/5 of the time (e.g. working hours are 20% of all the hours in the year). On premise, power, cooling, and 24x7 operations team cost are all proportional to the number of nodes that are running. Having many more nodes than needed results in a high waste of budget. LeanXcale provides full elasticity. LeanXcale manager is able to provision new nodes dynamically to scale out any incoming workload to deal with temporary peak capacity needs. In the same way, when the peak is over, LeanXcale manager can decommission unneeded nodes to just use the necessary resources for coping with the current workload. LeanXcale adds efficiency to the data management of companies relying on data-driven operations by augmenting the resources when needed to load peaks such as Black Fridays or other flash crowds and by reducing the footprint of the cluster during low demand hours. LeanXcale avoids over-provisioning, thus reducing substantially the operations costs. Besides, LeanXcale database makes the most out of a cloud environment, either public or private, and cuts down 24x7 pay-per-use by enabling to reduce the cloud resources when the demand is lower. Innovative algorithm for moving data regions without stopping processing or affecting the QoS of running transactions over them resulting in non-intrusive elasticity. Novel multi-resource dynamic load balancing. Non-intrusive dynamic elasticity scaling in and out. One database, two interfaces: Simple and rich SQL queries and ultra fast relational key-value interface on the same data. Companies have to choose today between the reliability, consistency, and ease of use of SQL operational databases and the performance and scalability of NoSQL data stores. Traditional SQL operational databases are fully ACID guaranteeing the consistency of data with transactional semantics, they are queried with SQL known by millions of developers, and accessed by the widely known JDBC drivers. Unfortunately, they do not scale and become the main IT bottleneck. NoSQL data stores, especially key-value data stores, are highly scalable and very performant. Unfortunately, they are not ACID and they lack data consistency guarantees. They have their own non-standardized query APIs/languages known by a small fraction of developers that are hard to find. LeanXcale is a Full ACID relational database. As such data can be accessed with Full SQL and through a standard JDBC driver. 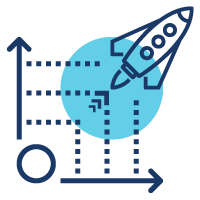 Unlike existing SQL databases, LeanXcale is ultra-scalable and able any workload load at any scale. LeanXcale also offers a key-value interface to its relational data. This key-value interface is ultra-efficient and avoids all the overhead of SQL processing when SQL is not needed (e.g. for ingesting data at very high rates, or making simple ranges queries with predicates), while still being Full ACID and thus, avoiding the consistency issues of current NoSQL data stores. LeanXcale provides, therefore, a database with two interfaces that can be used simultaneously, each of them for the most suited purpose. LeanXcale’s storage engine, KiVi, is in itself a fully ACID relational key-value data store. It can scale out to 100s of nodes, store terabytes of data and bear many millions of update operations per second. Unlike, most key-value data stores, KiVi is relational, so the data can be queried with range queries with arbitrary predicates. LeanXcale enables to access the data not only through SQL, but also through the underlying key-value interface enables to do simple operations such as insertions, updates and queries with predicates without the overhead of SQL in an extremely efficient way. At the same time data is still accessible through SQL when appropriate or when the power of complex SQL queries is needed.